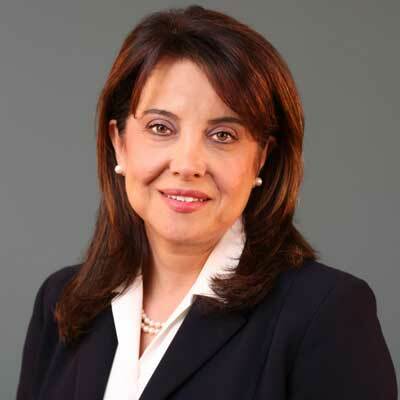 Hedy Belttary is Laserfiche's senior vice president of sales. Her experience with Laserfiche spans two decades and includes running her own Laserfiche value-added reseller organization, a role that provided her with a deep understanding of the needs of the channel. Today, she works closely with CEO Chris Wacker to standardize and spread a marketing and sales model that emphasizes in-person education, peer-to-peer training, vendor partnerships and a widely successful reseller channel. This hallmark strategy helped make Laserfiche a global leader in the enterprise content management (ECM) industry. Belttary continues to focus on working with Laserfiche partners to develop, manage and optimize sales opportunities. She spearheaded an overhaul of the company's VAR onboarding process to ensure productivity and accelerate early sales in 2015. She also strengthened the company's relationship with key partners such as Epson America, Inc., a leading provider of digital imaging solutions. As a result, Epson sponsored a series of enterprise content management workshops hosted by Laserfiche VARs, helping them generate valuable face-to-face leads without incurring high costs. In 2016, 2017 and 2018 she earned the title of Channel Chief, and in 2015, 2016 and 2017 she was named a Woman of the Channel by CRN. Last year, we experienced double-digit growth in sales thanks to the continued success of our reseller channel. Our VAR community captured larger shares of key industries including government, education and financial services, as well as expanding into new markets. One of my goals for last year was to implement a more comprehensive internal training program for our sales staff, both on the product as well as business side. Our territory managers are instrumental in supporting and mentoring our channel, making sure our newer VARs hit the ground running and are productive at the earliest time possible. The additional internal training has been very effective in our overall channel success. Laserfiche has the most comprehensive channel program for enterprise content management, and we have found that companies from a variety of technology sectors are interested in and can benefit from representing our product line. Over the next year, we will continue to work with those entities that are interested in representing our product line and incorporating it into their offerings. Additionally, we will continue to focus on better understanding the needs of the markets locally and working in partnership with our VARs to position Laserfiche solutions based on those needs. In the past year, I was named one of the Women of the Channel as well as a Channel Chief by CRN. I was also selected by the global nonprofit organization Wonder Women Tech to participate in its conference on a panel titled "The Power of Evangelism: Creating a Culture of Women Supporting Women." I am constantly inspired by the women I work with at Laserfiche. Their high aspirations are met by their outstanding accomplishments, and I greatly admire their drive, work ethic and eagerness to always do more. It's always important to be a student and keep your curiosity piqued, regardless of where you are in your career. I would tell myself to not stress over every single thing in life. Sometimes you need to take a step back and look at the bigger picture. It's good to be grounded and responsible, but you have to prioritize what is worth your stress. If I could master any job-related skill, it would be more in depth data analysis. We do a good amount already; however, more is beneficial. "Who Thought This Was a Good Idea?" by Alyssa Mastromonaco. The book is a memoir from the author's days as deputy chief of staff for the Obama administration, detailing her path to the White House and her experience within it. The book helps the reader understand what to do in order to get ahead in your career at a young age, specifically empowering young women to step up and take on challenging roles in industries that are interesting to them - regardless if they are traditionally male dominated. This book reminds you of the importance of mentoring the next generation.